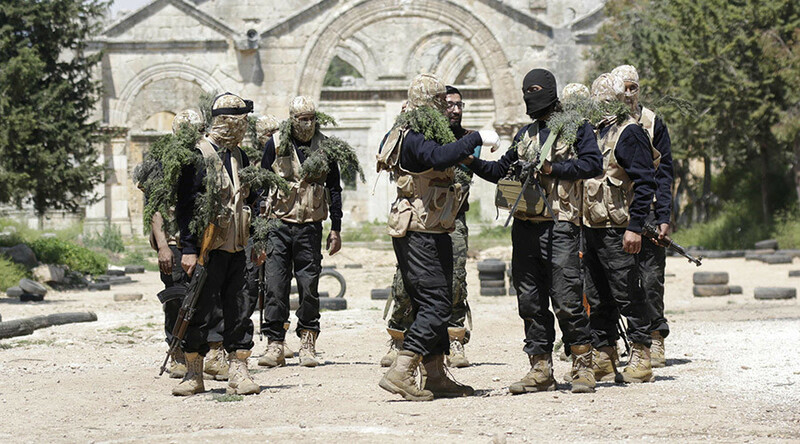 Representatives of the Free Syrian Army (FSA) rebel group have sent Russia a proposal to hold talks on Syrian crisis in Cairo, Egypt, one of the founders of the FSA told RIA Novosti, adding that the opposition is ready for the dialogue with Moscow. “The Free Syrian Army is ready for dialogue with Russia. We need to organize a new meeting, so that we can present our position and discuss our collective actions,” said Fahad Al-Masri, the coordinator of National Salvation Front. According to the FSA representative, both sides will discuss how exactly Moscow can help the Free Syrian Army during the meeting. “We have proposed to hold the meeting in Cairo, Egypt, but haven’t received an answer yet. We haven’t proposed any dates but announced our readiness for the meeting. And I believe that it is in the interests of Russia and FSA to hold this meeting as soon as possible,” the FSA representative said. Masri stated that if Russia “continues the bombing,” it will “weaken“ the FSA and will “strengthen” terrorists and Islamists. Moscow launched airstrikes targeting positions of Islamic State (IS, formerly ISIS/ISIL) militants in Syria on September 30 following a formal request from President Bashar Assad. As of October 23, the Russian air force has destroyed 819 IS targets in 934 sorties, according to Defence Ministry. Moscow says that it is only targeting IS militants and not the Syrian rebels or opposition. However, Russia’s efforts in Syria have been repeatedly attacked by the Western media, which have published many unconfirmed reports saying that Russia has bombed other targets. Russia has said on several occasions that it is ready to cooperate with moderate and democratic Syrian opposition forces, including FSA. “The most important thing for us is to find people who will be true representatives of the armed groups who will confront terrorism among other things,” said Russian Foreign Minister Sergey Lavrov. Foreign Ministry spokesperson Maria Zakharova had earlier said that the Russian Defense Ministry is ready to assist Assad’s military and the Free Syrian Army in uniting forces against IS jihadists. Such diplomatic efforts are "based on the position voiced by Russian President, Vladimir Putin," she said, adding that Moscow will carry on with contacts with the "whole spectrum" of Syrian opposition.